Without a doubt, there is much in life that we are expected to do – and many ways in which we are supposed to act. But what would happen if we were to defy those expectations and travel a new path? 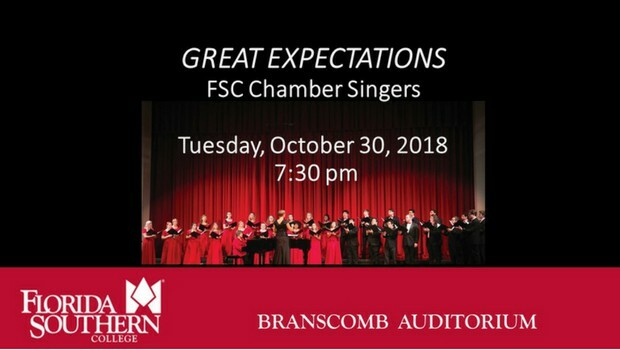 In an extraordinary evening performance featuring music by composers like Sydney Guillaume, Adolphus Hailstork, and Rihards Dubra, Dr. Beth Gibbs and the remarkable FSC Chamber Singers perform an exciting array of choral music in exploration of the remarkable possibilities inherent in stepping outside those great expectations. Tuesday, October 30, 2018 – 7:30 p.m.